Michal Ohana Cole, Ana Teles, Bex Massey and Caterina Voltolini all graduated from MA Fine Art in 2013. The R/E Collective, a curatorial collective which was founded by artists Emily Purser and Ravian van den Hil during their MA Curating course of 2013 will be the curators of the ensuing shows. The Young Masters Art Prize was established by gallerist Cynthia Corbett In 2008. Its aim is to showcase and celebrate young artists who pay homage to the skill and traditions of the past, finding innovate ways to interpret and draw upon art history. All four artists will have the opportunity to exhibit their works at two exhibitions in London this autumn. Both shows will be curated by the R/E Collective. Be sure not to miss them! 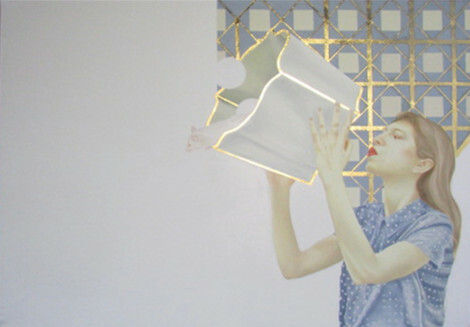 Young Masters Art Prize 2014 and Young Masters Maylis Grand Ceramics Prize 2014, 16 September 2014 – 5 December 2014 at Lloyds Club, Crutched Friars, London EC3. PV 17th September. Young Masters Art Prize 2014 and Young Masters Maylis Grand Ceramics Prize 2014, 14 – 31 October 2014 at Sphinx Fine Art, 125 Kensington Church Street, London W8 7LP. PV 15th October. We congratulate them all and look forward to their upcoming exhibitions.